The Parish Church of St John the Baptist, Piddington with Horton was built in about 1290, although it is believed that there may have been a place of worship on this site prior to that date. The Church is laid out in the traditional cross shape, but has been extensively restored and rebuilt with additions over the subsequent centuries. The accepted dedication is to St John the Baptist,though old Wills refer to St Mary the Virgin, and there is also reference to St Thomas Becket. It is a Grade 2 listed building. The older walls are of limestone, but the aisles and porch were rebuilt in ironstone. Internally, the walls are bare stone with a wooden floor which gives the interior a warm and friendly atmosphere. Outside, the attractive Churchyard is now closed to burials. A number of trees, both ancient and newly planted, frame the open views in three directions from the Church which occupies a surprisingly commanding position over the neighbouring countryside. 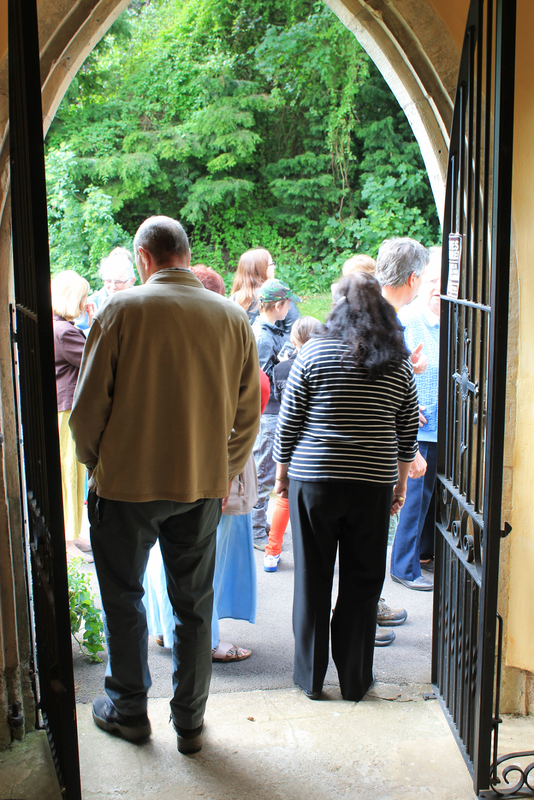 The main entrance gates were the gift of an anonymous donor in 2008, while the Hackleton Parish Council installed the “kissing gate” as part of the commemoration of the Millennium. The tower rising to a spire (described as 'strange and unsatisfactory'  was rebuilt following a rate levy in the Parish in 1847. the style of spire is similar to those where a wooden spire tops the tower, but in this case the spire is of stone. On the east face of the tower is the clock face of the church clock, more than a 100 years old, believed to have been made by Dent and Co., who manufactured "Big Ben". On entering the Church, you pass beneath the historic cusped niche above the porch door, believed to have been removed from an earlier location. The statue which one would expect to find in it has not been traced or recorded. One enters the Church through the main porch to the south aisle, rebuilt in the style of the 14th century, in about 1877-8. The Church has fixed low pews throughout, which were added in 1900-2. On the immediate left is the octagonal font, lined with a lead bowl and covered with an attractive wooden lid to match the pews. The font itself is believed to date from the 13th century but is not in its original position. From the central crossing in the nave, you can see how the Church has been extended, one clue being the original roof line visible on the wall of the tower. The upper parts (clerestory) were added when the Church was extended and rebuilt, giving a light, airy feel to the four bays of the nave. The clear glass in most of the upper and lower windows of the Church enhances this. Turning towards the tower, the fine engraved glass screen doors to the Belfry were part of the legacy of the late Jessie Sansome and were completed in about 1970. The ground floor ringing chamber commands a peal of six bells, five of which were new or recast by Taylors of Loughborough in 1845/6. The sixth (treble) was added in 1935 in memory of another member of the Sansome family who was a bell ringer. The bell chamber is situated on the second floor, with the clock chamber in between. The clock was renovated and converted to an automatic winding system (which does not detract from its antiquity) in 1998. The work was carried out by Smith of Derby and included regilding the clock face and hands enabling the time to be seen more clearly. The belfry exterior door opens on to the Churchyard, and is of modern design. The access to it has been paved from the path and made wheelchair friendly. Returning to the nave from the belfry, the beautiful stained glass east window draws the eye as it is the only such window in the Church; this was the major part of the gift of the late Jessie Sansome, (see above) and is widely admired, both from within, and after dark, from outside, when the interior lighting makes the window both a beacon and attraction on the approach from Church Way. Leave the crossing to approach the north aisle and you will see an old north door which has been blocked for many years. Turn into the north aisle towards the east. As the whole of the east bay of the north aisle is taken up by the organ, a small space behind serves as a vestry, separated from the main body of the Church by a wonderful embroidered curtain, designed by Margaret K. Wright and made for our Church under her direction, the story of which is embroidered also, in a nearby picture frame. A more detailed account of the work can be viewed on request. Inside the vestry, the east window is believed to be the oldest of those in the Church, dating from the 14th century. The organ itself was made by Holditch, an organ-builder of some repute and was, according to his work schedule, completed in about 1854. It is much appreciated by organists as well as by congregations, and is a single manual instrument. Returning to the nave through the front pews, the finely carved lectern in memory of an earlier Incumbent is one of the Church's treasures. From here, the wooden roof of the building, supported by corbels can be clearly seen, as can the stone heads, some grotesque, others almost like portraits. One can pick out a man's head crowned, a woman's with a coronet, a warrior, two ecclesiastics, and heads with tongues protruding and so on. Above your head at this point, one of the many memorial wall tablets is to John Glass, Deputy Ranger of Salcey Forest who died in 1775. The chancel is through the modern arch (which is not quite symmetrically placed). It is believed there is an ancient grey, square tomb with a Norman-French inscription beneath the chancel floor which is now covered by tiles and carpeting, so the details are impossible to verify. The Sanctuary is small and again the floor is tiled. The Church is fortunate to possess numerous fine altar embellishments, such as crosses, candlesticks and communion vessels, many of which are used regularly. The most ancient and valuable of these are no longer stored in Church. Leaving the chancel for the south aisle passing the carved pulpit on the left, one reaches the charming small Lady Chapel designed in the 1960's as a children's corner. In the far right wall of this, is an ancient piscina for the washing of vessels. This must have been moved from a different site, as it is much older than this part of the Church. Above the altar to the left can be found the remains of a rood loft, now just a blocked doorway. As you leave, please pause to consider the words of welcome and reflection on the pillar opposite the entrance door. We hope you have enjoyed your visit, and will take something of the peace of this lovely place with you and return many times to savour it once more. 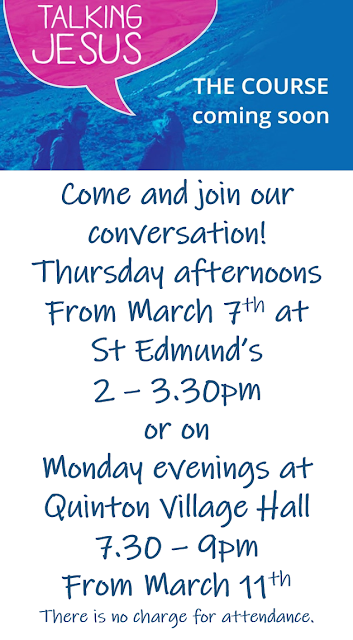 You might like to do a walking tour of Piddington and the neighbouring village, Hackleton, taking in places related to William Carey, the renowned Baptist missionary. There is a nice guide at the Parish Council website. As a missionary in the Danish colony, Serampore, India, Carey translated the Bible into Bengali, Sanskrit, and numerous other languages and dialects. William Carey was married in our church in 1734 to Dorothy Plackett. Note: The historical outline above has been gleaned from many sources. As with many ancient buildings, not every event or detail can be verified. Even the recollections of more recent times are not always identical. We welcome any additional information, the comments of researchers and anyone who can add to our knowledge of this Church and its artifacts. The greater part of the present building is of 14th century date, but the lower part of the tower may belong to an earlier structure. The 14th-century rebuilding comprised chancel, aisled nave, north porch, and the upper part of the tower; early in the 15th century the chapel on the south side of the chancel was added, or an older one modified, and the south porch erected. Extensive repairs and alterations in the 18th century have left their mark on the fabric, especially in the chancel, the north, east, and part of the south walls of which appear to have been rebuilt on the old foundations. Other evidences of 18th-century reparation remain in the plastered ceilings of both porches, the finial on the gable of the north porch, the pinnacles of the tower, and a small font bowl in the churchyard. The pointed bell-chamber windows are of two trefoiled lights with quatrefoil in the head, and the tower terminates in a battlemented parapet with 18th-century angle pinnacles surmounted by iron vanes. The wide pointed tower arch is of three square orders towards the nave, on chamfered imposts, the voussoirs being alternately of dark- and light-coloured ironstone. The font is modern, with octagonal stone bowl, in the style of the 14th century. The oak pulpit is in memory of the Rev. N. T. Hughes, vicar 1892– 1913. The fine alabaster monument, erected 'to the pious memory of Stephen Harvey Esq. [d. 1606] auditor of the Dutchy of Lancaster', his wife (d. 1590), and three sons, stands against the north wall of the chapel at its east end. The kneeling figures of the man and wife together with a shield of arms are above the cornice, below which are three canopied recesses containing the effigies of their sons, all kneeling, the youngest, Stephen Harvey, citizen and merchant of London 'by whose appointment this monument was erected', being in the middle. On either side are Sir Francis Harvey, kt., one of the Judges of the Common Pleas (eldest son) who died 1632 and 'lyeth hereby buried', and William Harvey, who died 1633 and was buried at Weston Favell. The arched canopies are supported by columns of black marble, and in the lower part of the monument are inscribed black marble tablets. The monument of Sir Stephen Harvey, Knight of the Bath (d. 1630), son of Sir Francis, is against the south wall of the chapel, and is of white marble with recumbent figure in the habit of the time. Within an arched recess in the south wall of the chancel is a table-tomb, the slab of which is without inscription and at present forms a seat. The arch is enriched with Renaissance ornament and is surmounted with the Tate crest. On the north wall is a large marble monument by Rysbrack with portrait busts to Bartholomew Clarke of Roehampton (d. 1746) father of Lady Bouverie, and Hitch Young (d. 1759) brother to Mrs. Clarke, and in the chancel floor are the marble grave-slabs of Bartholomew Tate (d. 1704) and Mary widow of William Tate (d. 1699). A tablet at the west end of the south aisle records the burial in a vault under the chancel of Benjamin Clarke (d. 1765), and the chancel contains a number of marble tablets to members of the Bouverie family, and one of alabaster to John Augustus Sheil Bouverie (d. 1894) and his son Francis Kenelm (d. 1891). In the aisles are a number of memorial tablets of 18th- and 19th century date, and one in oak in memory of twenty-five men of the parish who fell in the war of 1914–18. In the south aisle is an iron-bound chest with three locks. A record of the organ's installation in 1894 can be found here. It is likely that there has been a church building within the settlement of Quinton since around 800AD. The greater part of the current building belongs to the thirteenth century period but is a development of a much earlier building, possibly the Tythe Barn, of which the south west angle and west window remain. The original stone building probably had an aisle-less Nave, approximately of the same size as at present, and during this time a tower and larger re-modelled Chancel would have been added. During the fifteenth century the church was enlarged by the addition of a bell chamber stage to the tower and the Clerestory and new windows. The greater part of the building as we see it today is the result of the major restoration undertaken during the incumbency of Edward Bayley in the late eighteenth century. At that time the church had fallen into disrepair, nay ruin, and it was only with Bayley’s enthusiasm and monies received from the Montagues, Lords of the Manor of Quinton, which enabled the restoration to happen. Using much of the old stone that was left from the ruin (much had been removed by opportunist thieves or the desperate poor) a narrower Chancel with lowered roof-line and a rounded east end was built with a new south porch. In April 1944 the Newcombe family gave the Reverend Hopkins, the Priest-in-Charge, a photograph of John (their son Killed in Action in WW2) to be placed in the Church – this is now in the ‘Soldiers’ Window’ in the south aisle. 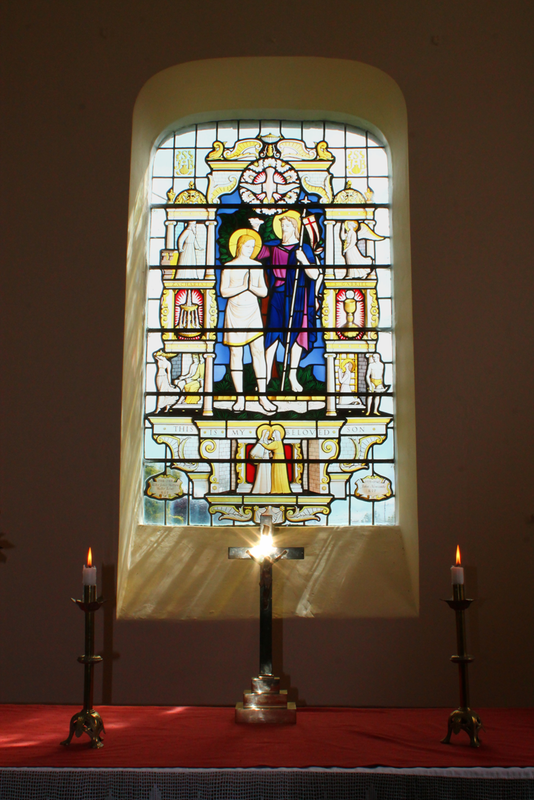 A year later, in 1945, at the Quinton Annual Parish Meeting it was proposed that a Stained or Coloured Glass Window be installed in the Church as a memorial to John: this was subsequently agreed by the PCC. In November 1946 the PCC agreed the design for the Window, made by the artist Harry J Stammers of Exeter, on the theme of the whole life of our Patron Saint, John the Baptist. The design now incorporated the names of our two men, Walter Tysom and Walter Matthews, Killed in Action in the First World War, although Walter Matthews’s middle name is incorrect! The cost was estimated to be £120 plus £20 for fitting. The PCC decided to deliver a letter to every house in the village asking for donations. A faculty was applied for and the Bishop, the Right Reverend Claude Blagden, issued this in March 1947 by which time 55 pounds and 50 shillings had been raised. In the Churchwardens’ Annual Report in April 1948 it is noted that: “Our patience has been amply rewarded and the work of sheer beauty that now adorns our Sanctuary will be a worthy memorial of three brave men, and a lasting joy, not only to ourselves but to many future generation.” Donations of one hundred and twenty three pounds, fifteen shillings and sixpence had been raised by now. At a 7.15 p.m. service on 4th July 1948 the Window was dedicated by the Archdeacon of Northampton, the Reverend Cecil Grimes. For full details please see the Book of Remembrance in the ‘Soldiers’ Window’ in the south aisle. Over the intervening 200 years the building has been cared for or left to decline in equal measure until the 1980s when it again received some tender loving care and that has continued through to today when you see the church in all its recently (2011) restored glory. 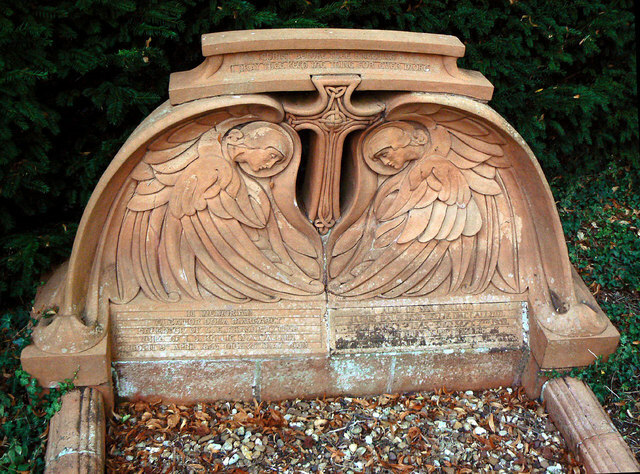 An unusual grave memorial in Quinton churchyard, dated 1909, was created for Eleanor Dora Margaret, wife of J.D, Kellie - Maccallum, Chief Constable of Northamptonshire, who is also memorialised. It was sculpted by Mrs G. F. Watts and is grade II listed. Here are some photos from Horton church exterior and interior.